Is there anything better than moist, smoke chicken drumsticks hot off the grill? Add a pool, ice-cold beer, and you’re all set! I love waking up early on the weekends, setting up the smoker, and getting these drumsticks going early so the whole family can come over and chow down for an impromptu barbecue dinner. Sometimes they’ll bring along sides or dessert, but I always smoke a few extra dishes for them to chow down on while they wait, too. Not only will everybody be itching for seconds of these delicious chicken legs, they’ll also be surprised at how affordable they are. At my local store, I can get 3 pounds of drumsticks for under $3. The only thing I regret is not stocking up on more than a few packs at once! They fly out of my fridge quicker than candy. Not sure why candy is in the fridge, but I'm too busy daydreaming about these delicious drumsticks to come up with a better analogy right now. For this recipe, I typically use a blend of plum and hickory chips to infuse the perfect blend of sweet and savory. Cherry, apple, and maple chips are other good options to produce that irresistible smoky-sweet flavor. If you only have plain or other chips on hand, that’s okay too! Just use a stronger rub or sauce to impart a deeper flavor profile into the drumsticks. Most smokers produce the perfect drumstick between 225-275 degrees. It all depends on your smoker, but I find that I get the perfect chicken every time at 240 for 1.5-2 hours per set. The cook time for this smoke chicken recipe is not that long. Any longer or a higher temperature will produce dry, rubbery chicken—the opposite of what you want to do here! While smokers are a great way to quickly cook a flavor-packed set of drumsticks, they aren’t known for making the skin crispy. In order to do that, you’ll either have to brine them before smoking or broil them in the oven once they’re cooked. I personally don’t mind a softer skin, but the wife loves to pop them under the broiler for 5-10 minutes for that crunch factor. If you choose to brine, leave it in a salt-water mixture over night and then rub off the excess before smoking with a wet paper towel. It’ll add that crispiness to the skin without tasting overly salty. For this recipe, I did more of a dry rub on the outside of the drumsticks because I love the way each bite is packed with a burst of flavor. It’s also quick and easy, plus you probably have all the ingredients in your pantry already. If you are in a pinch for time or like super-juicy wings, you can also coat them with pre-made barbecue sauce before smoking. They’ll still come out delicious and moist, but you won’t have to worry about combining ingredients beforehand. Pro-tip: I love to do half of each when I have the time--six with the dry rub and six plain with only salt and pepper added. This is a great way to feed the grandkids without worrying about anything being too spicy or overpowering for them. They can always dip the chicken in their favorite sauce for added flavor once cooled. Now, let's get these drumsticks started! I know you'll want to check on these beauties every so often, but try not to open the smoker more than necessary. It'll cause the temperature to drop, which makes the legs take longer to cook and potentially dry out. Pro-tip: These drumsticks are incredibly versatile, so you can also add any other spices you like. Cayenne, thyme, and oregano are just some of my other favorite additions I throw on there if I have them on hand. Start your smoker at least 30 minutes before you want to start cooking. Allow it to come up to 225-275 depending on your smoker/preferences, though I set mine to 240. Mix up all the ingredients in a bowl until uniform, including the olive oil. Place the drumsticks out flat on a sheet pan and coat thoroughly with the mixture, taking care to slather it onto all sides of the drumstick. Transfer the chicken to your smoker rack. Put the wood chips of your choice into the smoker, followed immediately by adding the drumsticks. The closer to the same time, the better. Allow the drumsticks to smoke for 1.5 - 2 hours, turning them once halfway through with the tongs (this isn’t necessary if you have a hanging rack). Be sure to add more woodchips as they burn out to get that strong, smoky flavor. 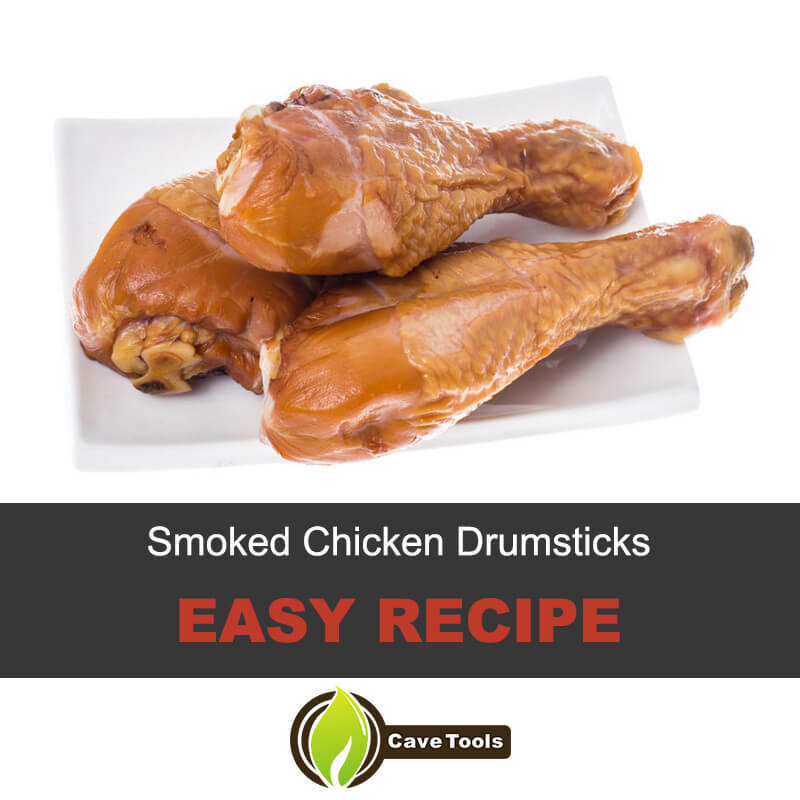 Remove the drumsticks once they reach an internal temperature of at least 165 degrees. Allow to cool slightly (or not!) before serving. Pro-tips: Leave out the brown sugar if you like a spicier drumstick. For leftovers (if you have any! ), you can either reheat them as-is or shred them up to make a smoky chicken salad. And there you have it! Smoky, irresistible chicken drumsticks in only two hours that the whole family will love. Like I said, I love to eat them right away, but you can also crisp the skin up under the broiler for a few minutes if you want. Serve them with barbecue sauce for dipping, or enjoy them as-is so the rub can really shine through. You can get a store bought bbq sauce, or make your own! For sides, these taste great with smoked baked beans, smoked baked potatoes, smoked mushrooms, and a plethora of other vegetables. Sometimes we even make macaroni and cheese and then smoke it for added flavor. Just pop your dishes of choice into the smoker towards the end of smoking the drumsticks, and everything should come out at the same time! 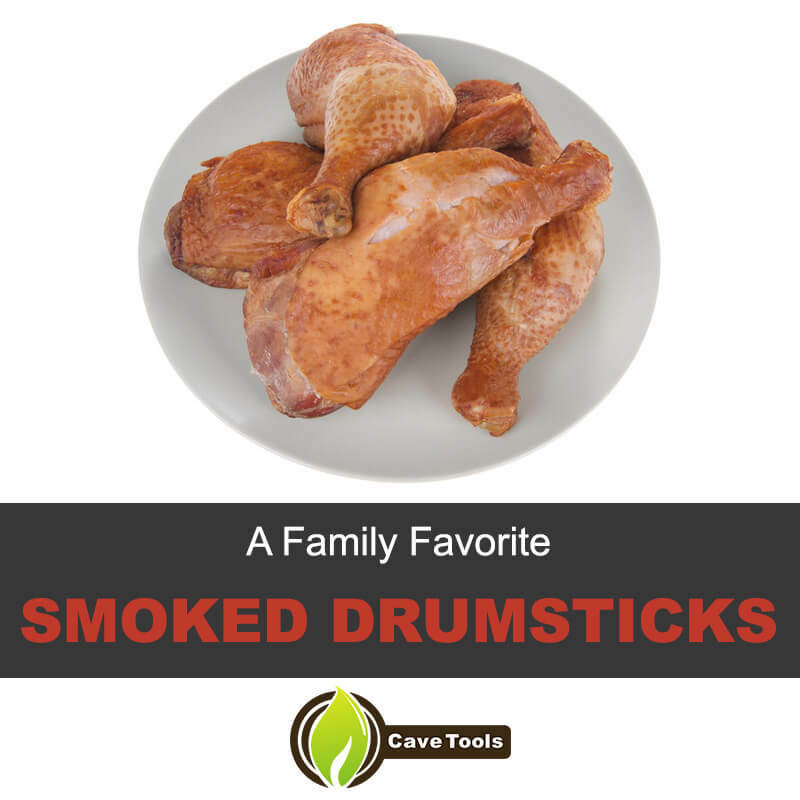 Have you ever smoked drumsticks at home before? What’s your favorite way to prepare them? Was this recipe helpful? Comment below and let us know! ​What Type of Wood is Best for Smoking Chicken? ​Because chicken has a mild flavor, it’s best to choose a wood that won’t overpower its natural flavor. We recommend using any of the fruit woods (like apple, cherry, plum, or pear). These woods have a nice, mild smoke with a slightly sweet finish that will complement the chicken nicely. Unless you’re blending woods to get a higher heat, we recommend avoiding hickory or mesquite woods. ​How do You Make Moist and Juicy Chicken? 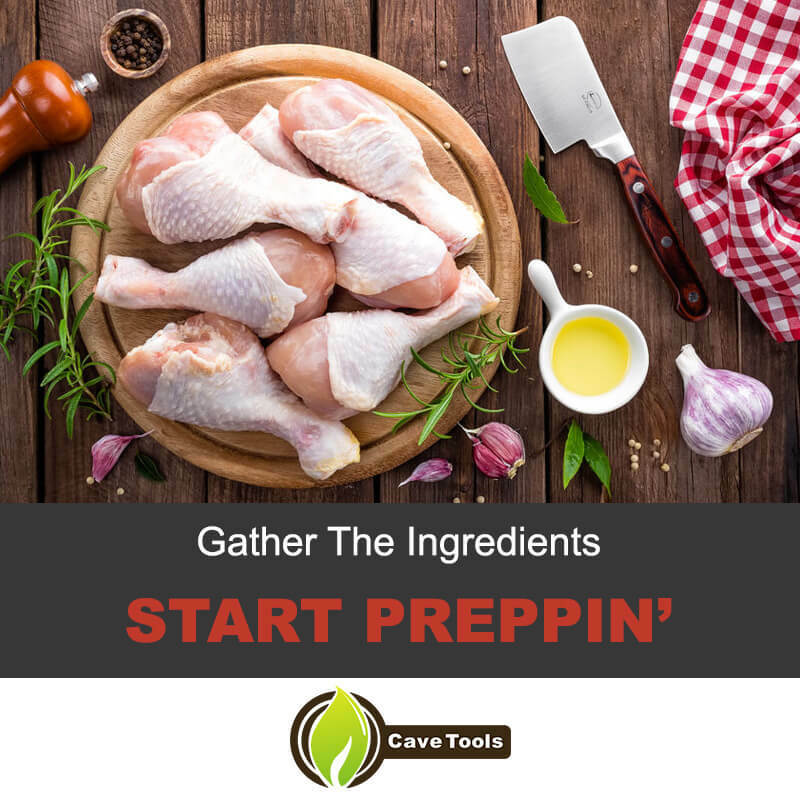 ​The best way to ensure that your chicken will turn out moist is to brine your bird before cooking it. The brine will add extra water and salt to the chicken meat, ensuring that it won’t dry out as easily. The next best way to make sure your chicken is juicy is to smoke it at a low temperature. Smoking above 250 degrees F can cause your chicken to cook too quickly and become dry before it absorbs that great smoky flavor. ​How do Get Smoked Chicken Skin Crispy? ​It’s difficult to crisp up chicken skin on the smoker because you’re cooking at lower temperatures than you would on a grill or in the oven. The best way to crisp up the skin is to place it under the broiler for 5 to 10 minutes after it’s finished cooking. Then, rest the chicken like normal before carving. ​What Temperature Do You Cook Chicken Drumsticks? ​Unlike the chicken breasts, which only need to cook to 165 degrees F, the drumsticks taste better when they’re cooked longer. The extra cooking time breaks down the tendons and makes the chicken extra tender. It’s best to cook chicken drumsticks until they reach 175 degrees F on an instant read thermometer. ​How Long Should You Let Chicken Drumsticks Rest? ​Because the drumsticks are not very large, they should only need 10 to 15 minutes of resting time before they’re ready to serve. Since you’re not slicing them, you could serve them immediately, but they will taste better if you wait a few minutes.